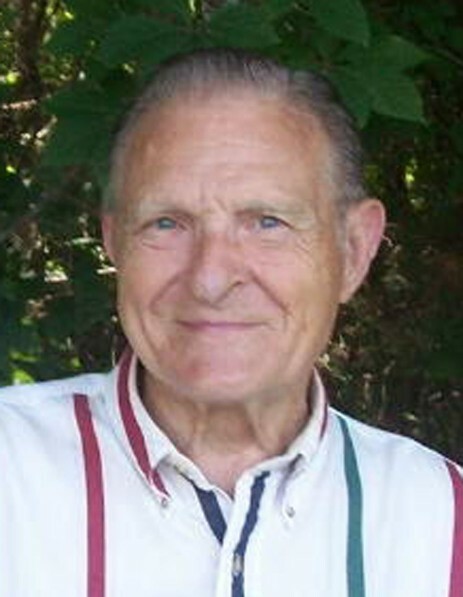 Burlington - Eugene Arthur Buckaloo, Sr., 90, passed away on Thursday, January 31, 2019 at his home surrounded by his family. He was born on November 18, 1928 in Wayne County, MI to the late Archie Vernon Buckaloo and Rosanna LaFontaine Buckaloo, and was the husband for over 52 years to the late Priscilla Johnson Buckaloo who died in 2011. Eugene retired after 40 years with AMP, Inc. He was a member of Springwood Presbyterian Church and a US Army veteran of the Korean War. Eugene enjoyed walking his land, being outdoors and spending time with his family. Eugene is survived by his daughter, Edith B. Leighton and husband, Charles; son, E. Arthur Buckaloo, Jr. and his wife, Gwen; grandchildren, Jeremy (Amber) Berkeley, Elizabeth Berkeley, Ashley Geise, Emily (David) Wood, Aryn Leighton, Kane Leighton and Moia Leighton; great grandchildren, Lillian Geise, Carson Wood, Hayes Geise, Easton Wood, Jonathan Berkeley and one on the way. He was preceded in death by his wife; parents; and siblings James Buckaloo and Dorothy Inman. The funeral service will be conducted at 3:00 PM Sunday, February 3, 2019 at Springwood Presbyterian Church by Rev. Marybeth Asher-Lawson with the burial to follow in the church cemetery. The family will receive friends from 2:00pm to 2:45pm Sunday prior to the service at the church and other times at the son, Arthur’s home. In lieu of flowers, memorials may be made to Springwood Presbyterian Church, 1422 Springwood Church Rd., Burlington, NC 27215.